As you all know, I am an Enrolled Agent and very proud of that fact. I am also a member of the Florida Society of Enrolled Agents or FSEA and the National Association of Enrolled Agents, the NAEA. In fact, I am the current Education Chair and a Past President of the FSEA. This past Thursday – Saturday, the FSEA held their annual convention. 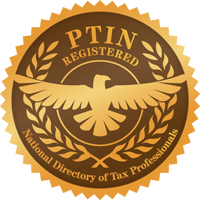 I joined my fellow Enrolled Agents and other tax professionals for 18 hours of continuing education in our chosen profession. I presented two, two-hour sessions (Taxation and the Cannabis Industry (no samples were handed out) and Taxation of US Citizens Working Abroad). I also had the distinct honor of installing the 2018 – 2019 officers. This is the third consecutive year that the incoming President requested that I perform this duty and to me, it is a great privilege; thanks Tony, Ray, and Roberto. The theme and the most important part of this year’s event was the celebration of our 40th year of being an organization that serves Florida Enrolled Agents. We have a rich history of professionalism and advocacy for our clients, and the event proved to be truly outstanding. I am relating this information to you as a reminder to celebrate whatever and whenever you can. Celebrate birthdays (even the 20th anniversary of your 39th birthday), anniversaries (don’t forget this date! ), Fido’s birthday, and any other particularly meaningful date in your life. Life can be fleeting so enjoy these precious days. Before you know it, the day is over and time flies. I cannot believe that it is nearing the end of June. I am already receiving my annual solicitations for holiday cards, and that means tax filing season 2019 is almost here (and I have not yet finished my extended returns). So please take time to smell the roses, the freshly brewed coffee, and your significant other’s perfume. As a reminder, if you owe me information for your 2017 return, please get your buttocks in gear and start putting it together so I can prepare your business or personal return because before you know it, September 15th and October 15th will have come and gone.